Pottery Barn Lesson Plan for your Classroom - Be your best teacher! One of the nice things about working in a high school is the students can explore their interests without a commitment to a college major. 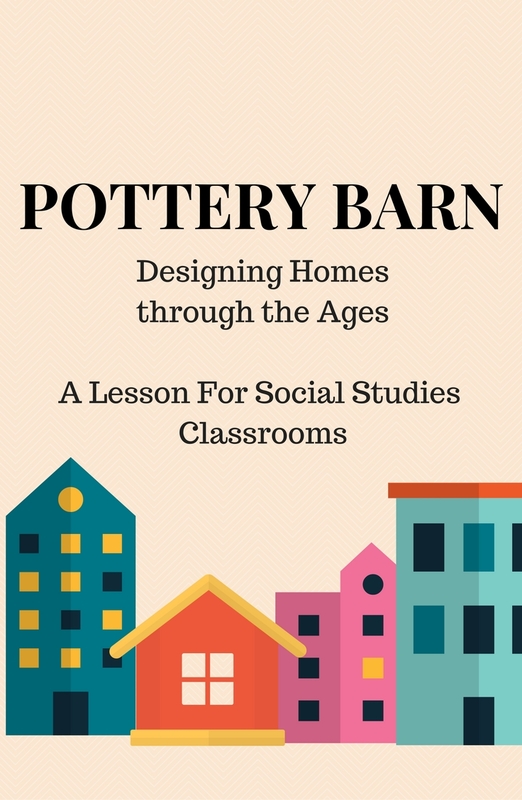 In order to scaffold a lesson for my more creative students I created a history lesson where students can create their own houses from different time periods – a Pottery Barn Style lesson! For Global History have students design a home from around the globe for the Phoenicians (ancient history), the Medieval Era, the Renaissance, and modern history. They should use different textures that were available and furniture, and even set the table with foods from the period. This can be done in PowerPoint or a diorama style model. For US History – this is a lesson through the decades. Design a home for colonists, the 13 colonies, Jacksonian Era, Progressive Era, World War Eras, Great Depression, the Decades “50s – 00s”. They should use different textures that were available and furniture, and even set the table with foods from the period. This can be done in PowerPoint or a diorama style model. Previous Post Brad Pitt & Angelina Jolie Divorce? !